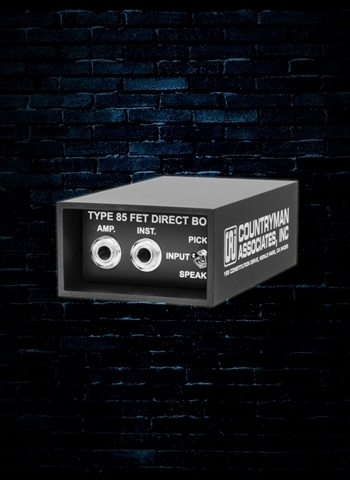 The classic Type 85 connects any high-impedance instrument pickup, even piezo pickups, to a balanced microphone (XLR type) input. It provides a strong, clean signal to the mix board without adding noise or distortion. It won't change the tone or volume you hear from your own amp like passive direct boxes. It won't break just when you need it. It won't develop a dead battery on stage because it runs on Phantom power.